New Delhi : All set to play his first Test series against Australia, Indian pacer Jasprit Bumrah came up with a delivery that will caution team Australia for the upcoming matches. 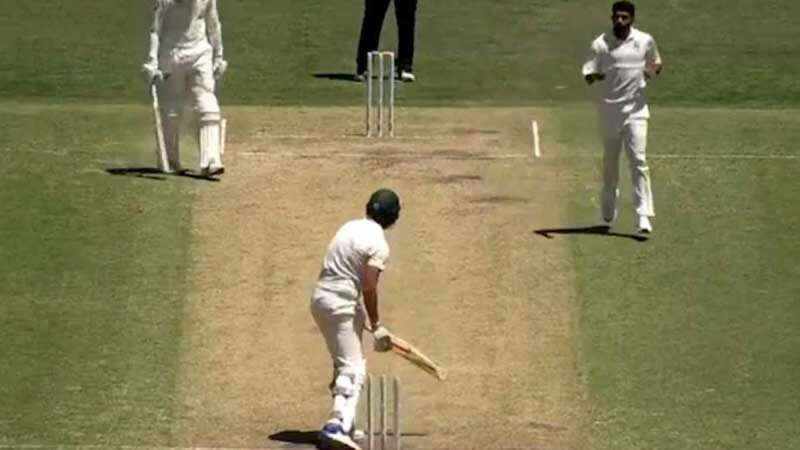 The visitors were playing a four-day warm-up match against Cricket Australia XI at the Sydney Cricket Ground, when Jasprit Bumrah came for the first time on the last day of the match and dismissed tail-ender Jackson Coleman with a peach of a delivery. Jasprit Bumrah will be taking charge of Indian bowling with experienced Ishant Sharma during the upcoming matches.